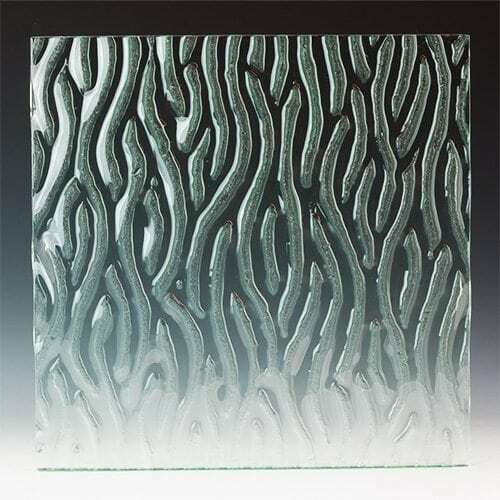 Our Sahara textured glass continues to be one of Nathan Allan’s steadiest selections. The combination of clear and textured sweeping lines creates a beautiful contrast in this moving pattern. However, Sahara’s background is clear glass, while the dimensional raised lines are textured. This is a reversal of many of our dual patterns. Panels are available in clear or low iron glass, and up to maximum panel size of 5’0 x 10’0. 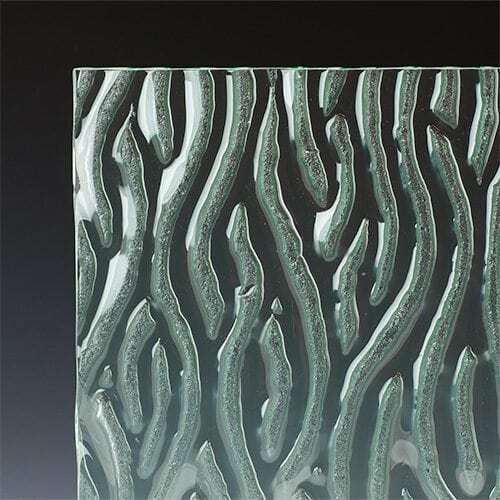 Our Sahara Textured Glass is the perfect solution for making your next glass building project a success. Durability, strength and a stunning look that will compliment any space. 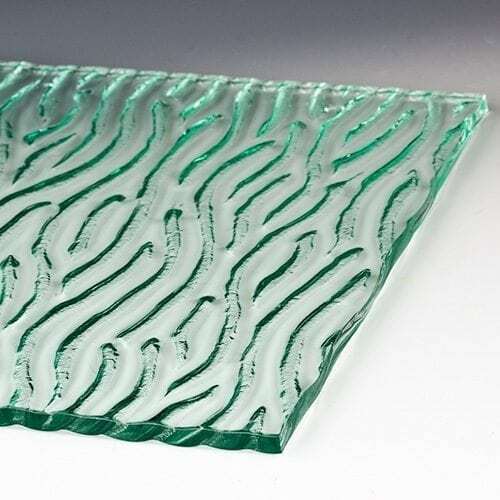 Sahara is often used in clear or low iron glass, and it is the base texture for our Crystal Series colored glass. We encourage you to check out our Instagram Page in order to find other great examples. Are interested in this texture and would like to learn more? Please contact Nathan Allan Glass Studio today. 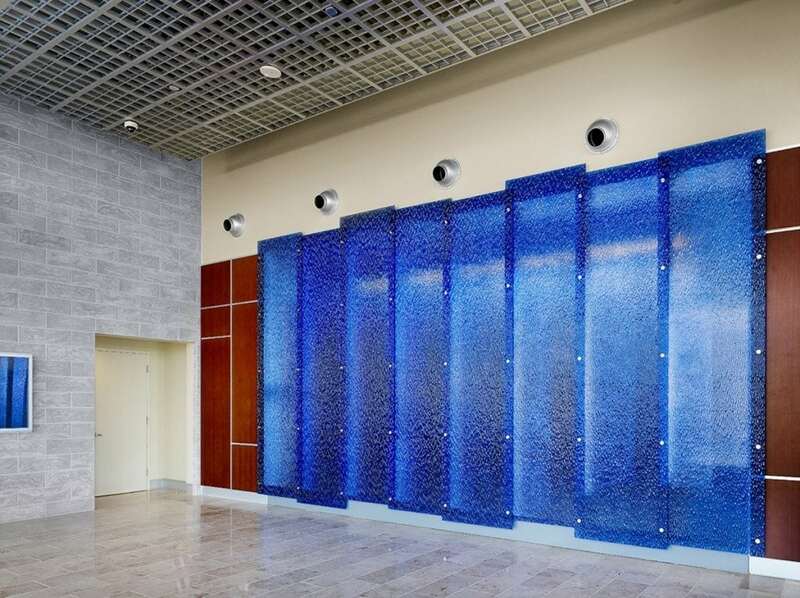 Using our Crystal Series Cognac textured glass, the lobby of this popular casino was changed instantly. In addition to the deep Sahara texture, at the same time, this pattern flows freely. Furthermore, the curved shapes in the texture create a waterfall like appearance. On the back of the glass, we’ve added our bright, Lucent Cognac color finish. And accordingly, the color finish is clad with thousands of brilliant crystals. 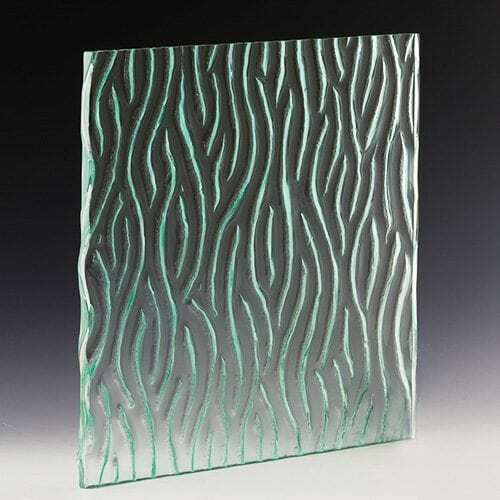 Therefore the color sparkle effect on the textured glass is brilliant and enticing.